As the month approaches the end, I am nearing the last page of my first TN notebook of the year. 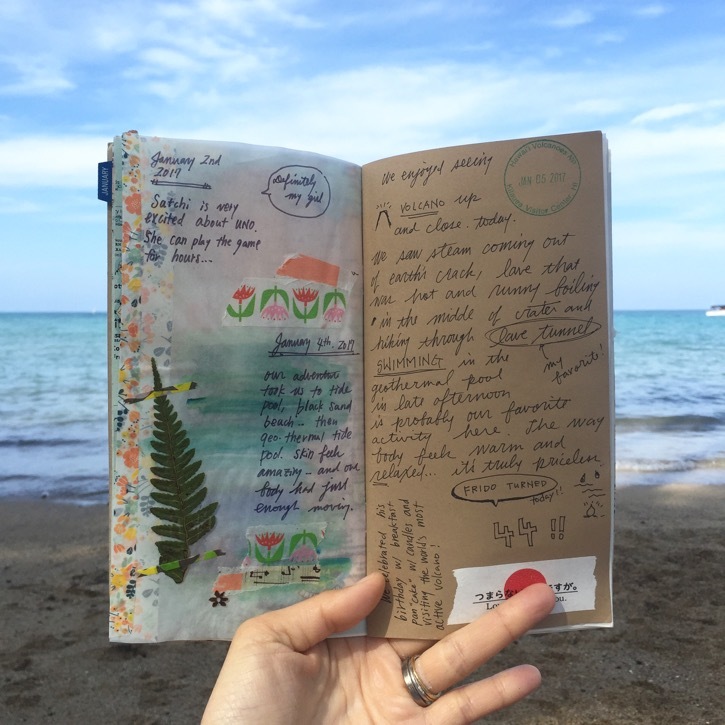 I feel especially nostalgic with this notebook ending since half of the pages is filled with the vivid memory from our Hawaii trip. The last few days in Hawaii, we ventured out to whale watching (we heard them and saw them up close!!! Just magical. ), ate a lot of vegan food and let kids just "be" at the beaches. 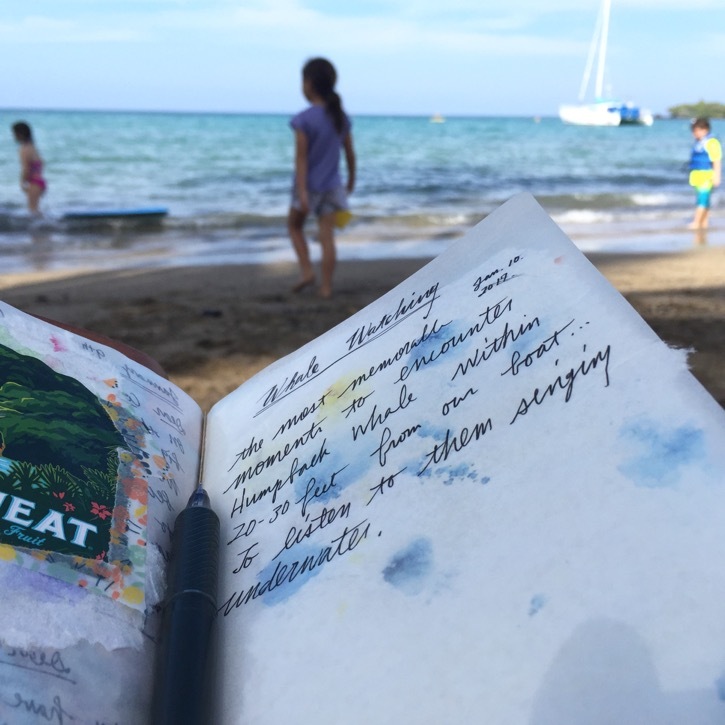 Since we returned, the mood in the world has not been the same and I often find myself retracing the memory in Hawaii to ground myself... while flipping through past pages of my Wander notebook. 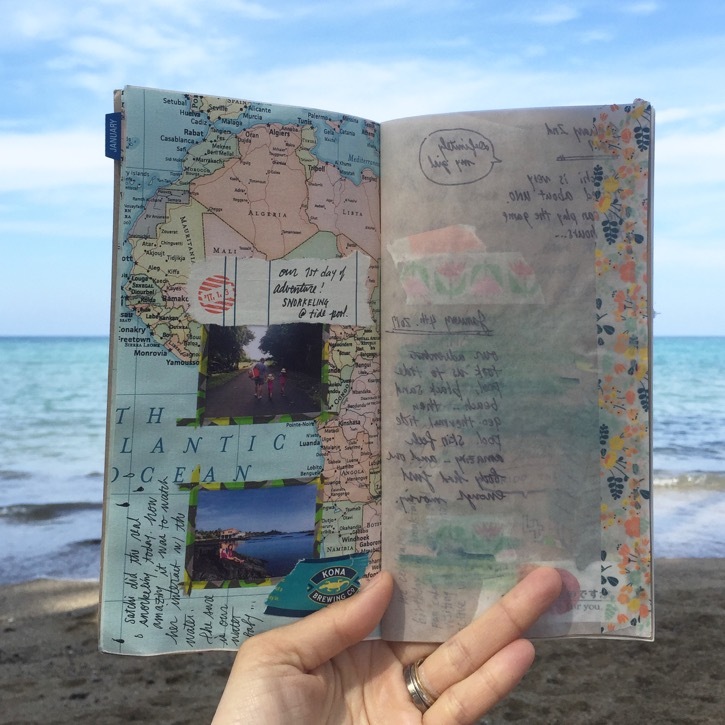 When Frido and I created this "Wander" notebook in December, we didn't know how we would actually use all these mixed-media pages... but somehow had the gut feeling that it would work out. 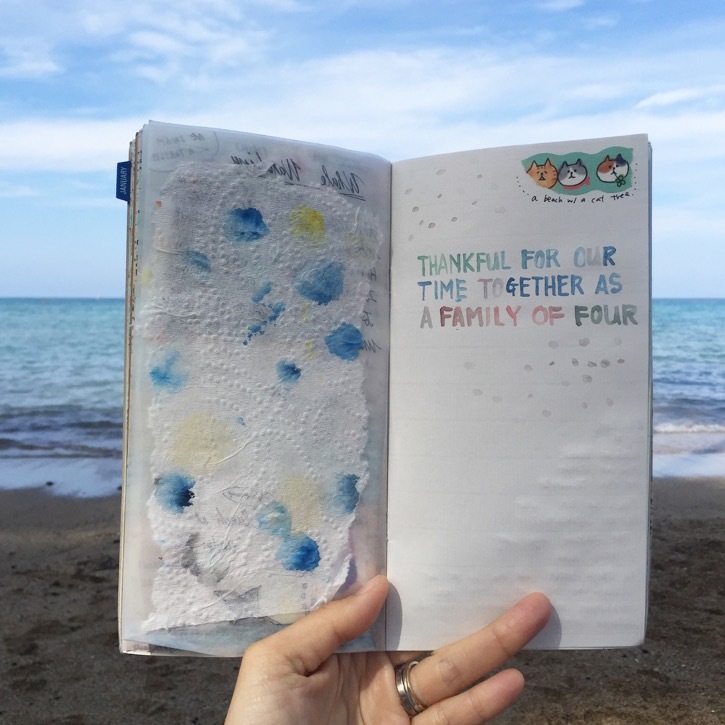 Looking through the pages, I think the notebook found its unique way of capturing the day, week... month... and the stories it was meant to contain. 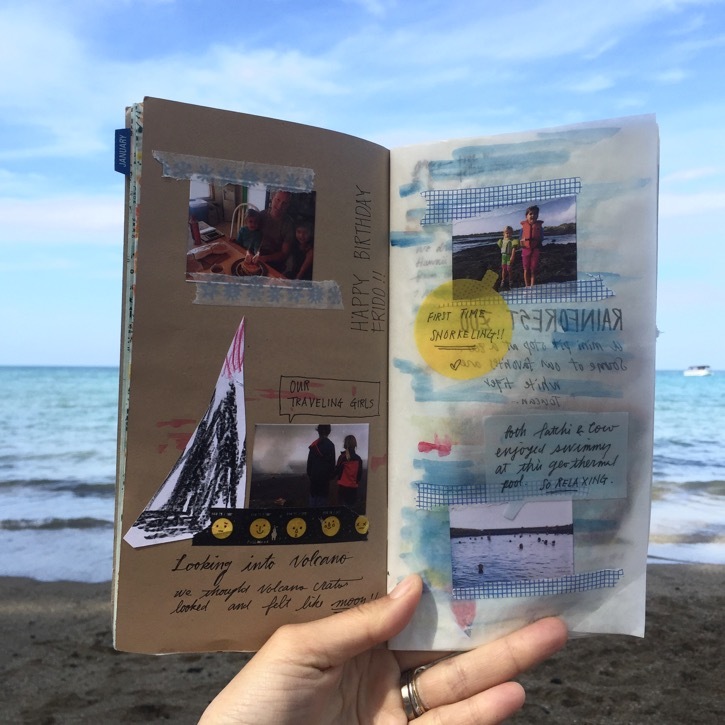 Because it is mixed-media, it opens up many different new way of looking at the open spread. I so enjoyed playing with layers of meanings I tried to capsulate in each page... especially with some of the glassine pages. 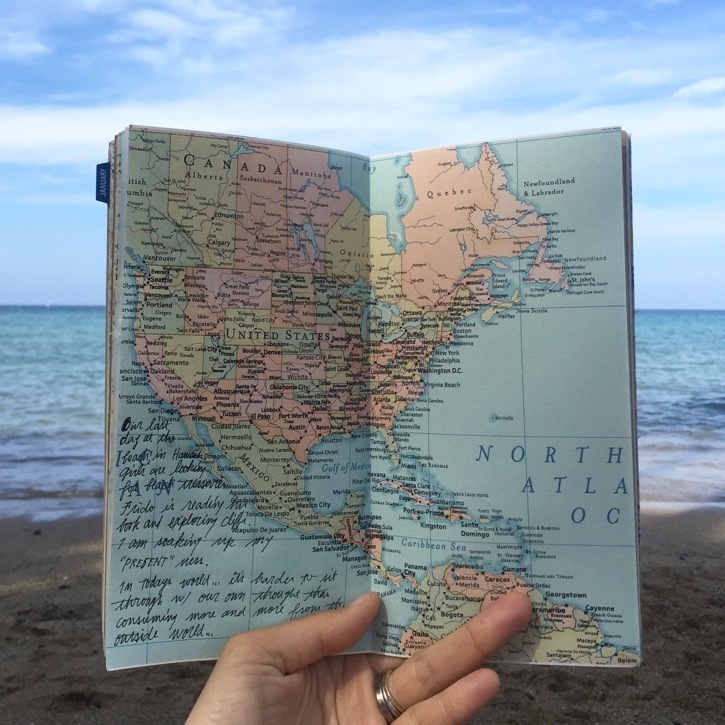 I hope you write... today and tomorrow on a piece of paper you might have in front of you because writing is powerful no matter where and when. To March and To Be a Mother.